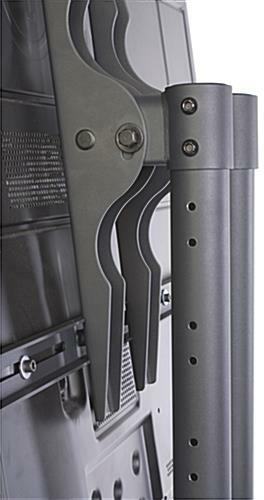 Adjustable VESA bracket holds most 32"-65" flat screens weighing less than 175 lbs in landscape or portrait orientation. 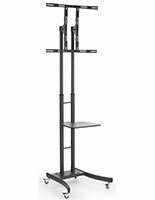 This large tv stand that adjusts to ten set heights allow users to position screens at the perfect viewing level. 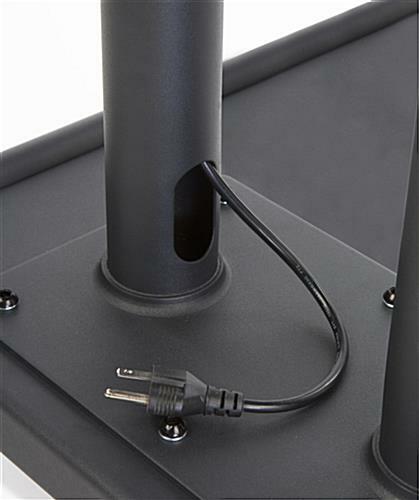 The flat panel holder includes a heavily weighted base to ensure stability, which is great for media presentations in public areas. 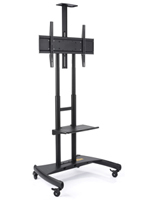 The extra tall flat screen TV stands accommodate 32" to 65" and larger plasma monitors. 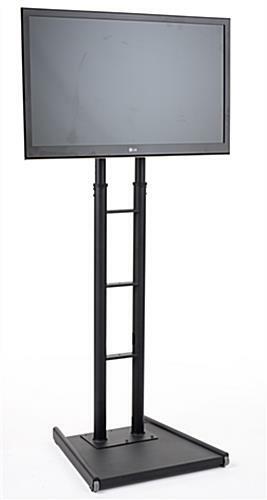 The durable design is ideal for promoting and displaying new information in many business settings, as well as universities, transportation terminals, and more. 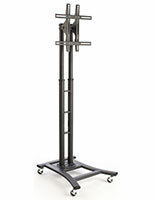 Each is outfitted with two wheels on the base that allow the unit to be moved or relocated as desired. 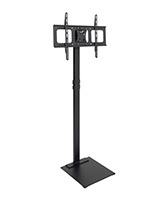 Once you have mounted the plasma or LCD television, the angle set using the built-in 15° tilt adjustment. Display the largest televisions, from Samsung and LG to Panasonic and Sony with confidence in any environment. Curt, thank you so much for taking the time to write this review and leave your feedback. 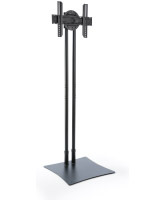 We apologize that you had difficulty assembling this TV stand - it can definitely be frustrating to assemble something like this without any help, especially when you're in a time crunch. We aim to provide products that are easy-to-use, and your feedback about marking the parts and improving our instructions will help us to deliver on that goal. Thank you! Well constructed and easy to assemble. 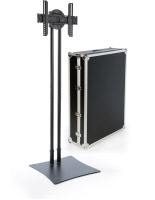 Versatility with the easy to adjust height made it simple to get it exactly how our customer liked it. We will definitely use these again. 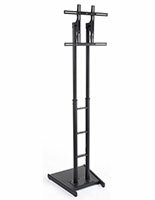 These stands are great! 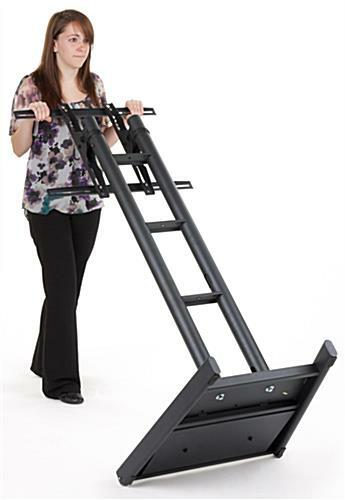 Easy to assemble and disassemble plus they are very affordable. They are heavy enough to hold a large monitor but light enough to move around easily. They shipped / arrived within a couple of days. Packaging was excellent and there was no damage. 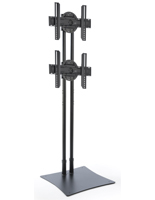 I highly recommend these monitor stands to all of my clients. Thanks for the feedback, Monte!